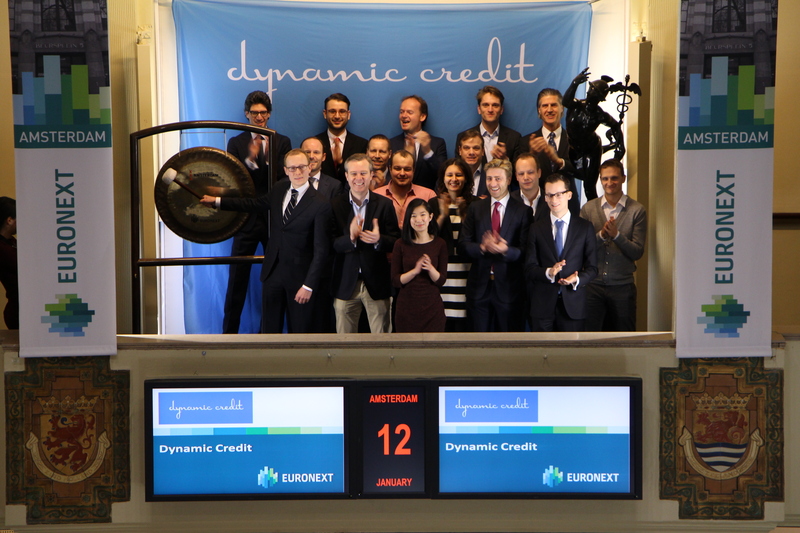 Merijn Bosman, portfolio manager mortgage loans of Dynamic Credit, sounds the opening gong at the Amsterdam exchange, in celebration of the opening of the direct channel between the international capital markets and the Dutch mortgage market. Dynamic Credit, as asset manager and direct lender, wants to create a better match between savings and credit. To this end it has set up a customised route for institutional investors to benefit from the interesting spread at relatively low risk of the Dutch mortgage market. Through this route Dynamic Credit then channels funding of mortgage loans directly to Dutch consumers who want to finance their house. Dynamic Credit manages more than EUR 7.5 billion in mortgage mandates, of which more than 5 billion has been issued. Dynamic Credit is the first asset manager to successfully set up a direct link between the capital market and the Dutch mortgage market.